The number of women at the workplace is steadily growing, but the ceiling is still there as we are driven by a patriarchal mindset. A working woman does not only perform the role of a leader or an employee at her workplace but has other varied roles that need to be taken care of. Maintaining a healthy work-life balance becomes the most crucial role for any professional woman. Multitasking at all the times and juggling between responsibilities, be it at work or at home, is quite a task to handle. It is never easy to maintain a balance between a burgeoning career and a delightful family life. The number of women at the workplace is steadily growing, but the ceiling is still there as we are driven by a patriarchal mindset. We live in a male-dominated world and we see the need for a change in virtually every field and industry. From bro-culture to assuming and not taking you seriously, judging on the basis of your gender, not understanding the fact that women are the primary caregivers to a family, women constantly challenge this environment. They go to work every day baffled with the frustration of proving their worth and abilities. Unconsciously we start copying men; in everything from attire to behaviour; in our quest to be a ‘part’, to not be left out. We forget that we have other far more important attributes that we need to bring out. Research has shown that diversity and especially having women at the top positions enhance the quality of work by both men and women and overall business bottom lines. Therefore, women just need to be more accepting of themselves and find the power in not mimicking but creating a unique ‘work persona’ rooted in empathy and understanding. And at the same time, remember when they have to stand up for themselves and push if it comes to that. Create your true identity and not fall into any stereotypes and it is not ‘necessary to play a good girl always. Women need to be empowered and an empowered woman is the one who knows her powers and isn't afraid to hold on to them. By keeping command of her life, being aware of her potential and always ready to take on her aspirations is the power of a true woman. Women are inherently different; different in the ways they think, react and manage. Coming from the medical field, I know very well that there are not just phenotypic differences between genders but even at deeper levels. Women have certain traits that are critical to the survival of mankind. I like to particularly mention a hormone called ‘Oxytocin’; that can also be understood as the ‘nurturing’ hormone in much higher quantities as compared to a male of any species. This biological driver not only helps the female of the species nurture and care for the offspring but also is critical at a larger level beyond family setting, in communities and even in organizations. Employee engagement is much higher in companies that have a better balance of female employees. It is also however true, that worldwide leadership positions have a very low percentage of women in senior positions. There is a view that the currently workplaces are more suited to male lifestyles; such as working later hours, travel requirements which automatically give an advantage to men. Women as the primary caretakers would also be at a disadvantage in such work environments. Add to it the gender pay gap which is about 20% even in USA and Australia. Things are however changing fast as companies have realized the benefits of a diverse workplace including at senior levels. 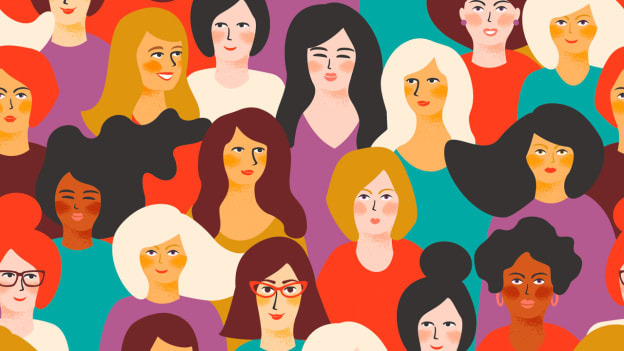 A study by Mckinsey Global Institute found improving female diversity in the workplace could improve global GDP by as much as 11%. A Credit Suisse study of more than 3000 companies found that companies with more women in senior management positions tend to be more successful. With increasing realization about the importance of having women in workforce at all levels including leadership, we are surely going to witness a robust transformation towards a more balanced workforce and fair opportunities for women. This requires identifying prospective leadership qualities in a female and mentoring them at the at-times-difficult early years of their leadership development. This coupled with support and encouragement from their birth family as well as the married family in later years, would surely lead to stronger gender diverse organizations, healthier companies and inclusive growth. Dr. Abha Malik is the Co-founder at PathSOS.